Villa Venalos Canouan The Grenadines. Villa Venalos is a beautiful, traditionally styled villa with an open concept, warm woods, and tones reminiscent of sea and sand. It features everything you need for comfortable, yet elegant, living, including a gourmet kitchen, breakfast bar and expansive living areas. While staying at Villa Venalos, you’ll enjoy outdoor and indoor living, with living areas that blend easily into one another. Outdoors, the villa also blends beautifully into the landscape, with stone, hardwood doors and windows, and wallaba roof shingles combining to create the ultimate tropical paradise. Villa Venalos is ideal for small families, or couples, with two bedrooms featuring en suite baths and large closets. Ceiling fans are also placed in the bedrooms for your comfort. When you stay at Villa Venalos, you’ll have access to the opulent Canouan Estate, as well as the Pink Sand Club Hotel. The hotel is a destination in and of itself, with dining and leisure facilities that are simply unsurpassed. Other amenities include a spa, an infinity pool that has a 3-tiered deck for tanning, and a pretty lagoon containing brilliant fish that can be seen from glass-bottomed boats. You’ll also want to check out the Jim Fazio golf course – it’s 18 holes, with challenges that will please even the most discerning golfer. You’ll also find a tennis center where you can play under the floodlights. If you enjoy exploring, you can easily travel the island on a bike or in a golf cart. If you like, you can also hire a boat to explore other islands in the area. At Villa Venalos, a property manager is on site at all times. You will also enjoy the services of a gardener and pool person. Non-motorized water sport equipment is complimentary, so if you want to snorkel, kayak, windsurf or go out in a pedal boat, you have those options as well. 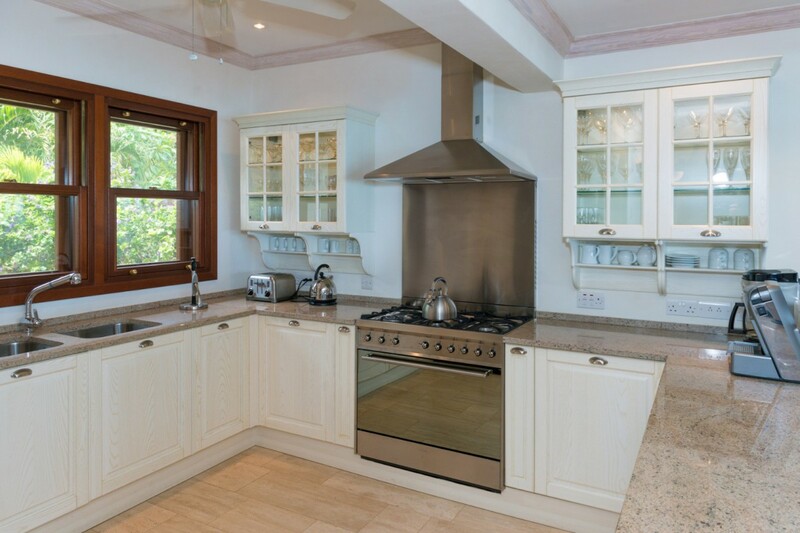 With so much to do at Villa Venalos, it’s the perfect Caribbean getaway for the entire family. 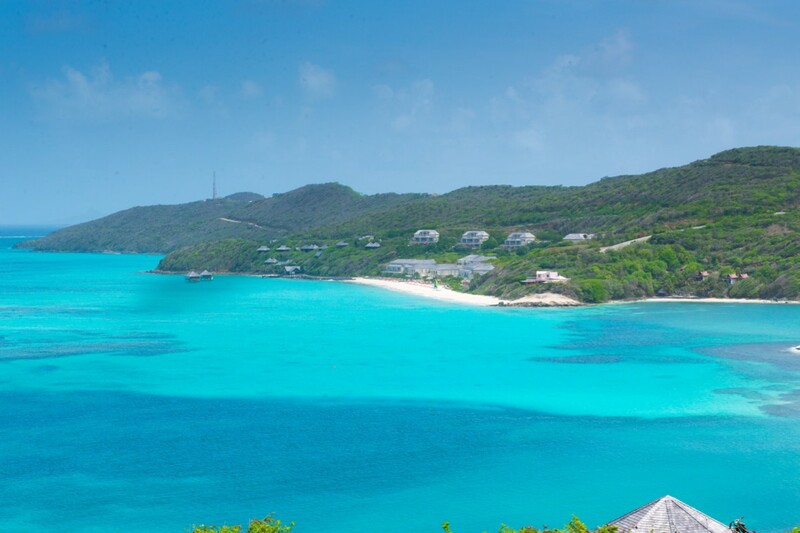 Villa Venalos has a full access to The Pink Sand Club Hotel and the Canouan Estate. - The Pink Sand Club Hotel hotel showcases classic architecture, glamorous interiors and cutting-edge technology, as well as superb leisure and dining facilities. 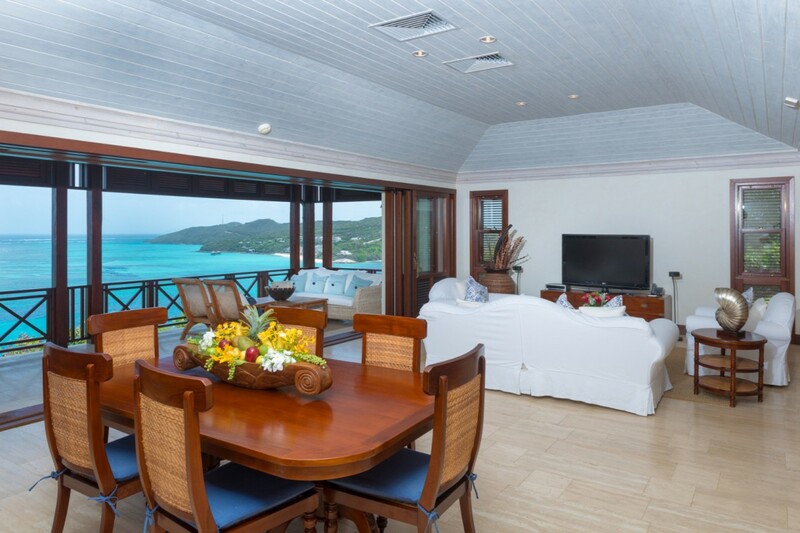 The suites and villas all offer beautiful ocean views and are decorated in the club’s signature classic style with pink colour accents, cool marble, cream fabrics and dark woods. - On-site leisure facilities include an infinity-edge swimming pool with 3-tier tanning deck and a spa offering both Caribbean-inspired and exclusive ESPA treatments from its 9 hillside and 2 overwater palapas. Palapas remain unique in the Caribbean, only accessible by boat and offering captivating views of the fish-filled lagoon through their glass-bottom floors. - Other leisure facilities offered throughout the estate include non-motorised water sports, a floodlit tennis centre, an air-conditioned Technogym fitness centre and complimentary children and teens’ club for 3 to 18 year-olds. The spectacular Jim Fazio-designed golf course is available for all guests. For those wishing to explore the island golf carts and bicycles are available, and escorted tours and guided hikes up the 240m (787 ft.) Mount Royal, can be scheduled if desired. 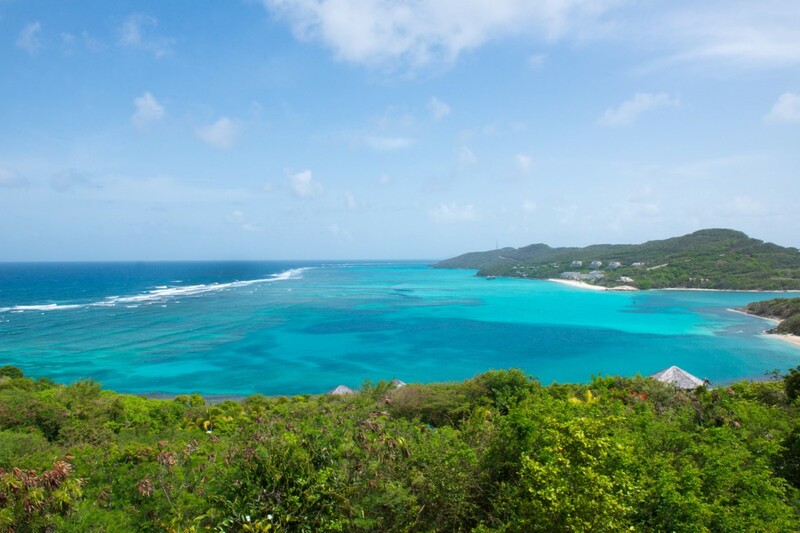 A flotilla of yachts, catamarans and powerboats offer trips to nearby islands, including the world-famous Tobago Cays. - The stylish all-day dining venue Romeo offers an authentic global menu with tables overlooking an open kitchen. Mediterranean cuisine is offered at the beach house style Lagoon Café and light and healthy options can be found at the swim-up Pool Bar. Turtles residents lounge is the perfect spot to enjoy cocktails or cappuccinos. Juliet, the main restaurant offers the sophisticated ambience of a member’s club with two private dining rooms complemented by both indoor and terrace seating. 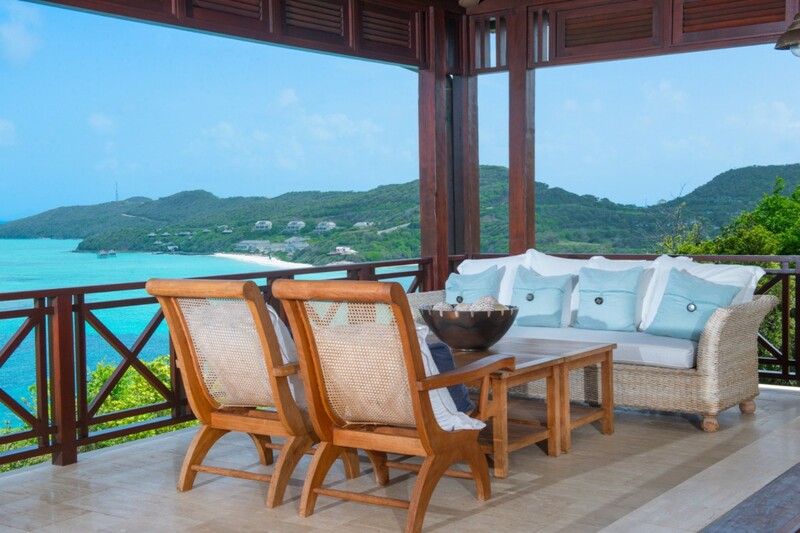 The Canouan Estate, adjacent to the Pink Sands Club is accessible to all guests and features a collection of private villas and residences, an additional two restaurants, the golf club house and the real estate sales centre. - Access to the 8 restaurants of the island (Romeo, Juliet, Turtle Bar & Lounge, Lagoon Café, Pool Bar & Grill, Shell Beach Bar & Grill, La Piazza, Bellini's Bar and Bistro). Bedroom 1: Master bedroom with a four-poster king-size bed, A/C, ceiling fan, TV, safe, telephone, closet, private terrace and en-suite bathroom with bathtub, shower, double vanity and WC. 2 guests maximum. Bedroom 2: Bedroom with two double beds, A/C, ceiling fan, TV, safe, telephone, private terrace and en-suite bathroom with shower, double vanity and WC. 2 guests maximum.